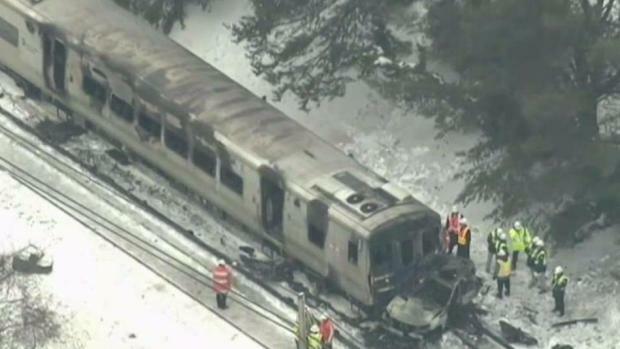 The NTSB has released its final report on the deadly Metro-North crash. Ida Siegal reports. Federal safety investigators said Tuesday they can't determine why an SUV ended up in the path of an oncoming commuter train, causing a crash that killed six people at a rail crossing in suburban New York in 2015. Detailing the results of the nearly two-and-a-half-year investigation the National Transportation Safety Board suggested evaluating the safety risks at some rail crossings and said the design of the train's power-providing third rail played a role in the toll of deaths and injuries in the crash in the community of Valhalla. The NTSB concluded the SUV driver's actions were the probable cause of the wreck, but Chairman Robert Sumwalt said those actions remained a mystery. "We examined every possible situation and circumstance, and we could not arrive at a definite conclusion," Sumwalt said at a meeting in Washington. Ellen Brody drove onto the tracks, and when the gate arm came down onto her SUV, she got out and inspected the vehicle before getting back in and driving further onto the tracks. The impact of the crash sparked an explosion, and flames blasted into the Metro-North train, burning out the first rail car and killing Brody and five people aboard the train. More than a dozen others were injured. 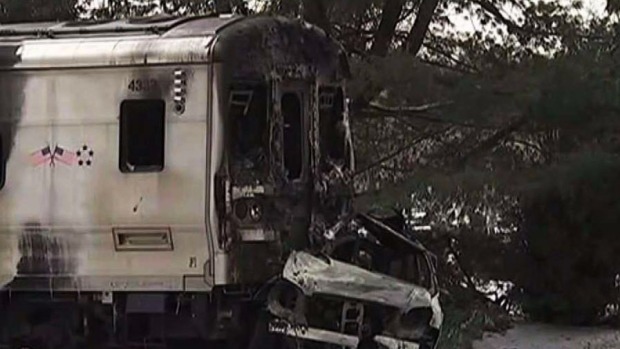 The NTSB revealed that an SUV driver was largely to blame for a 2015 Metro-North crash that killed six people, including the driver who stopped on the tracks. The driver's widower has blamed the train crossing at the site of the crash. The safety of the crossing is unknown, despite the fact it and other crossings were the subject of a state report that is months overdue. Roseanne Colletti reports. Brody wasn't on the phone, impaired or fatigued, NTSB investigators found. They found all the signals were working properly; the train's brakes worked and were pulled on time; the warning signs at the crossing worked and were properly marked; the train wasn't speeding; the engineer wasn't fatigued or distracted; the track wasn't faulty, and the emergency exit windows worked. Sumwalt hypothesized that Brody wasn't aware that she had driven into a railroad crossing while inching through traffic. But Alan Brody says his late wife was put in a perilous situation by a badly designed crossing and improper warning signs. A planned third set of flashing lights further up the road had never been installed, although the state had set aside money for them in 2009. The NTSB said the warning lights and signals at the grade crossing met all safety standards. "How can that be?" Brody asked. "This is not, not in any way, going to fix any problem that we have in terms of the safety system infrastructure, with the possible exception of the third rail." The power-providing rail stayed in one piece, like a 340-foot-long (104-meter) spear, when it was ripped from the ground, investigators said. The rail then sliced through the first passenger car, contributing to the death toll. 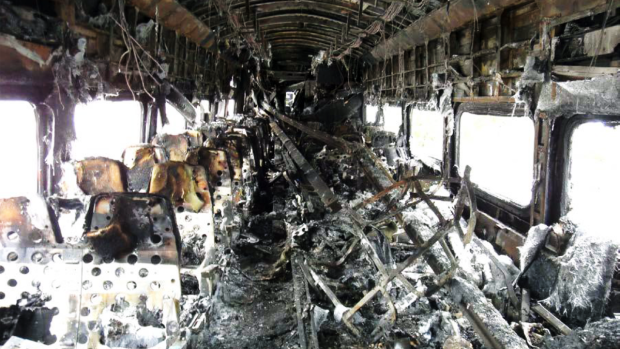 NTSB investigators said the lack of a "controlled failure" mechanism that would split up third rails in such situations was a potential safety problem. The agency recommended that railways that use third rails evaluate the safety risks at ground-level crossings like the one where the crash happened, in the town of Mount Pleasant. The town was weighing whether to close the crossing altogether. 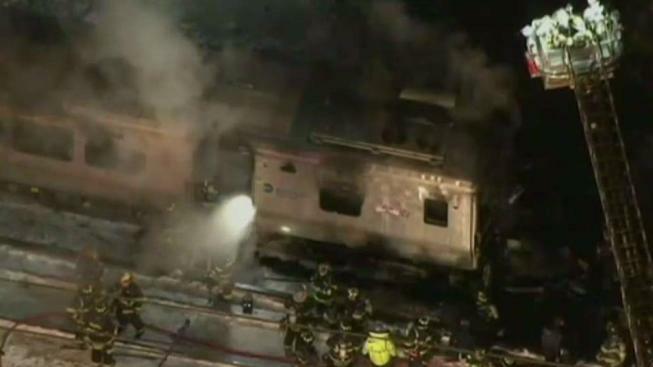 Federal investigators have concluded that a fiery crash between a commuter train and an SUV that killed six people in the New York City suburbs in 2015 was extra deadly because of an unusual rail design, a U.S. official told The Associated Press on Monday. Ida Siegal reports. Robert Vilensky, a lawyer for five injured train passengers, said the findings about the third rail show dangers that transit officials should have anticipated and alleviated. "They should have done something about it," Vilensky said. But "it always takes some sort of event for the officials to do something which should have been done in the first place." Drivers must always be aware at railroad crossings, they said. "There is a lesson drivers must learn, a lesson that has tragically been taught time and time again. The next train is always coming... Do not get trapped on the tracks," Sumwalt said. A spokesman for the MTA, which operates the Metro-North system and is facing lawsuits over the crash, said the agency is working to re-engineer or eliminate grade crossing wherever possible to improve safety.